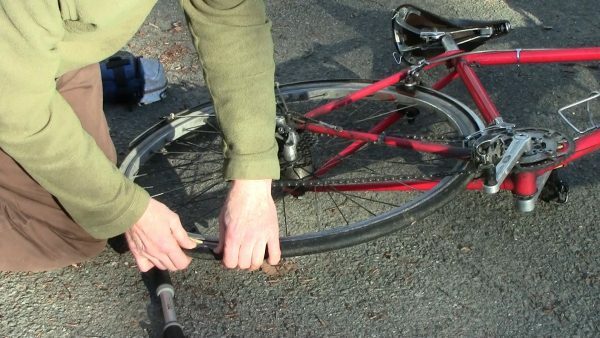 How to expose the inner tube for patching without removing the wheel, and how to put things back together — very useful on a bicycle where removing the wheel is difficult. This article includes videos showing how to do it step by step. This entry was posted in New pages and tagged bicycle, blowout, flat, flat tire, inner tube, maintenance, patch, puncture, repair, Sheldon, Sheldon Brown, sheldonbrown, sheldonbrown.com, tires, tube, tyres. Bookmark the permalink.